Travel agents from across the United States have been descending on Jamaica this week as the island continues to bolster its international profile. Some 500 agents are visiting the island as part of the ‘Wish You Were Here’ familiarisation programme, organised by the Jamaica Tourist Board (JTB) and private sector partners. They are the latest batch of 2,000 travel agents who will be brought to the island during September and October under the programme. Minister of tourism, Edmund Bartlett, welcomed the venture. “We established the campaign, not only in the United States, Canada, Europe and the other markets, but we also wanted to bring the partners to the destination, so that they could be on property, on the beach, in the hotels and moving around in the attractions and generally interfacing with the Jamaican people for a period,” he said. Jamaican officials have embarked on the ambitious programme ahead of the winter tourism season, with the island expecting to equal the 750,000 visitors welcomed during the period in 2009. “The real test for us is the airlifts that we have, the number of seats that we have available for the winter, and also the level of forward bookings that we are getting through the traditional sources and of course through the social media, and through the powerful internet engines that are now working so well throughout the reservation systems,” Mr Bartlett added. 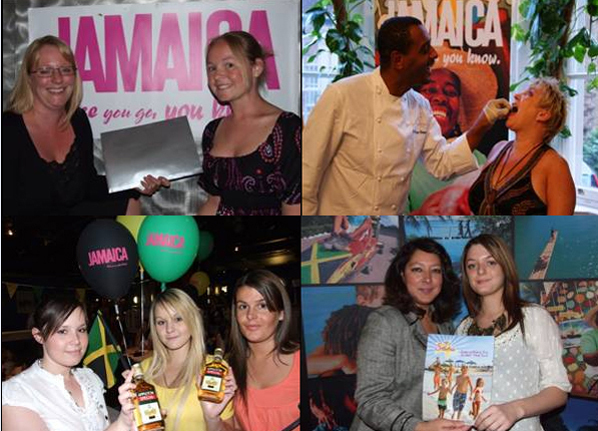 Invitations for the trips were emailed to thousands of agents who had done business with Jamaica, carried an IATA number, CLIA or OSSN memberships. In all, 30,000 invitations were extended. Eight hotels donated blocks of rooms; carriers serving Jamaica handled the fares and bookings, with the JTB picking up the tab. The tourist board designed 14 itineraries that crisscrossed half of the north coast, the west coast as far as Negril, and Whitehouse on the south coast. In what promises to be a busy month for the island of Jamaica, the World Travel Awards Americas Gala Ceremony will take place at the Sandals Whitehouse Resort. Regarded by both the industry and the consumer as the most prestigious awards ceremony in travel, the event will welcome the leading lights of the sector to Jamaica on October 22nd.